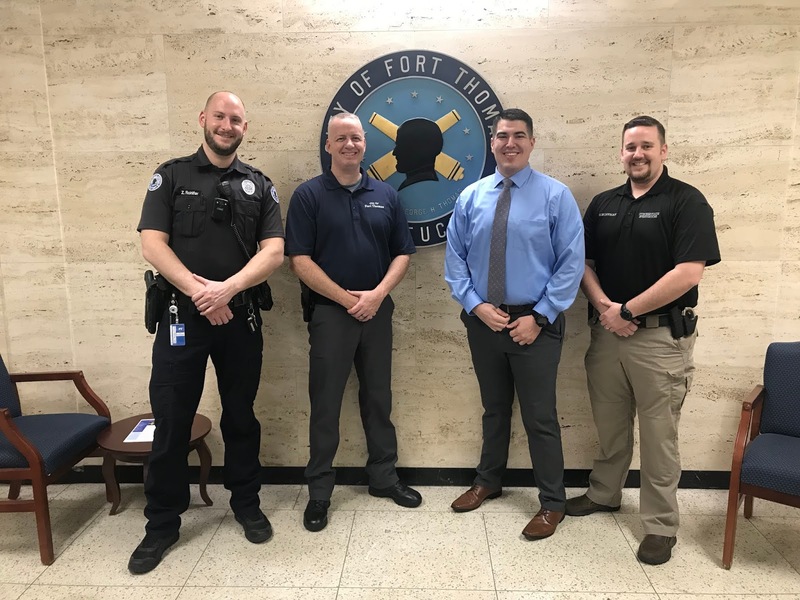 Officer Brad Reichenbach has joined the Fort Thomas Police Department and began work as a patrol officer March 28. With his hiring, the department is now fully staffed with 23 people, filling a slot that had been open after Chief Mike Daly retired this summer. "I am very excited and looking forward to starting work," said Reichenbach. "I’ve been very impressed with what I’ve seen so far." Barre3 Under new ownership! Located at 90 Alexandria Pike in the Fort Thomas Plaza. He comes to the department from the Kentucky State Police and has been a police officer for six years. He has been through two police academies, the one in Richmond and one specifically for state patrol officers. The officer was in the top group of candidates for the position, and it was an added benefit that he was already an experienced and certified officer, said Chief Casey Kilgore. He explained that in Reichenbach’s previous position he was able to take on investigations and other police work in a variety of different areas. "He comes to us with a wealth of experience," said the chief. "He is very well-rounded and will fit in well with our department and with our community." Reichenbach will do some inhouse training for the next eight weeks. The son of a police officer, he is originally from Standford, Kentucky, and now lives in Florence. He is engaged to be married in May. Welcome to Fort Thomas, Officer Reichenbach!